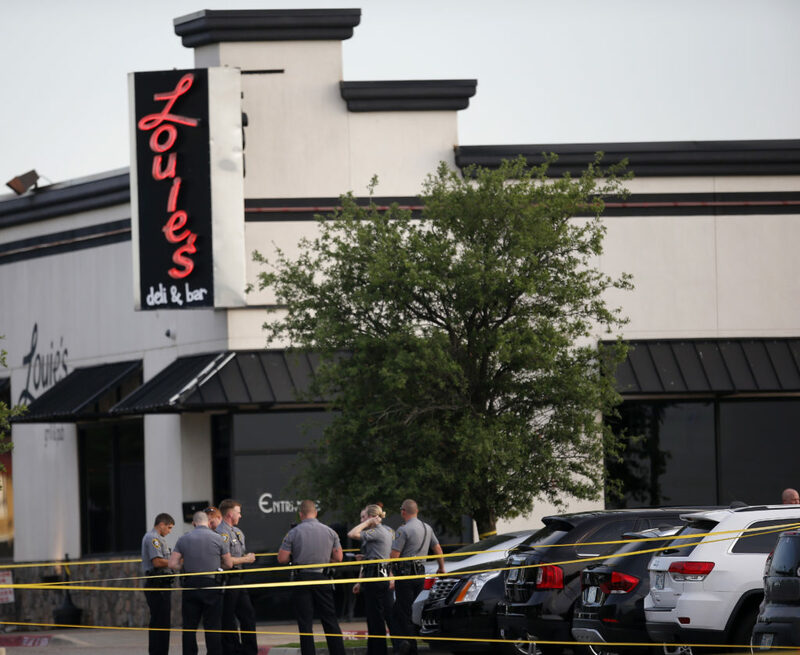 OKLAHOMA CITY — A gunman opened fire inside an Oklahoma City restaurant during the dinner rush, wounding a woman and two girls before two armed citizens shot him dead outside, police said Friday. The suspected gunman, 28-year-old Alexander Tilghman, was armed with a pistol when he entered Louie’s On The Lake around 6:30 p.m. on Thursday. A 39-year-old woman and two juvenile girls were shot and wounded, while an unnamed man fell and broke his arm while fleeing, according to a statement from police. Tilghman was then shot dead outside the restaurant by two citizens identified by police as Juan Carlos Nazario and Bryan Wittle. All four victims were reported in good condition Friday, according to Oklahoma City police Capt. Bo Mathews. A suspected motive for the shooting hasn’t been released. A woman who answered the phone at the home believed to belong to Tilghman’s mother declined to comment when contacted by The Associated Press. Telephone and text messages seeking comment from Nazario and Wittle were not immediately returned.